The International Hologram Manufacturers Association (IHMA) has announced a new-look board as it marks its 25th anniversary in 2018. The move comes as the global trade body sees "increased integration of holography alongside other authentication and track and trace technologies to deliver overt and covert protection over the next 12 months," according to a statement from the group. 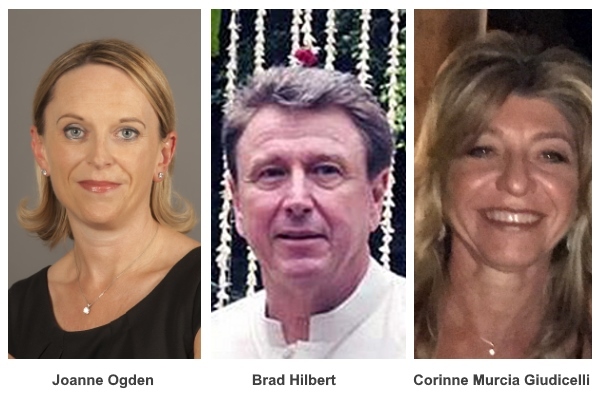 Corinne Murcia Giudicelli of Surys becomes a full board member, while Brad Hilbert of Crown Roll Leaf steps up to become deputy North America representative. Meanwhile, Joanne Ogden of ITW Security Division and Valentin Monovski of Demax Holograms have been appointed as EU and EFTA representative and Eastern Europe/FSU/CIS representative respectively. Manoj Kochar, founder and director of India-based Holoflex, will continue to lead the IHMA as its chair. The new board will continue to underpin the IHMA’s work to advance the development of holograms and holographic technology as global threats continue to push demand for authentication and brand protection devices such as holograms, according to the IHMA. Manoj Kochar said: “Countries across Asia, notably India and China, will continue to offer unprecedented scope for holography growth in the battle to curb counterfeit goods flooding onto the market." “We will continue to see over the coming months increased integration of holograms in these territories as part of brand protection strategies being adopted by government and security agencies looking to tackle the problem. The IHMA is made up of 100 of the world's leading hologram companies. Members include the leading producers and converters of holograms for banknote security, anti-counterfeiting, brand protection, packaging, graphics and other commercial applications around the world, and actively cooperate to maintain the highest professional, security and quality standards.